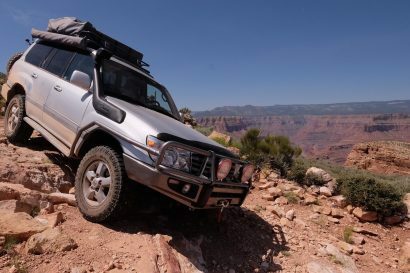 You may not have noticed, but we have an affinity for older vehicles here at Expedition Portal. We love their simplicity, classic styling, and durable materials, but not nearly as much as we love their personalities. Each one has stories to tell, earned scars, and a character as unique as the people that own them. 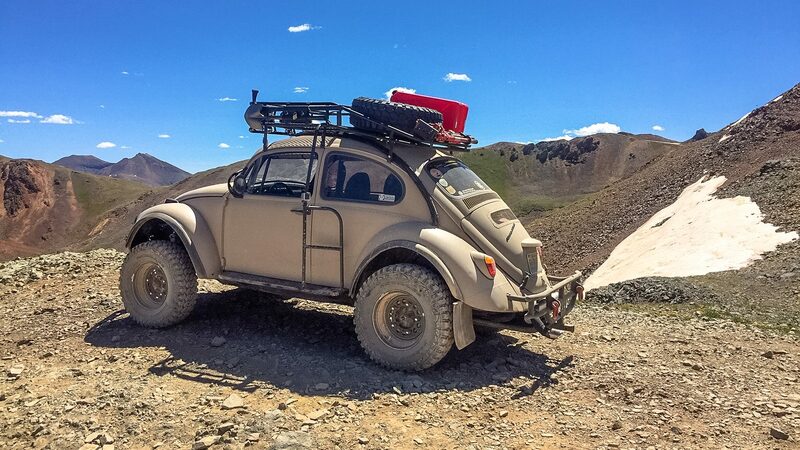 Just take a look at this 1967 Bug, and you’ll know exactly what we mean. 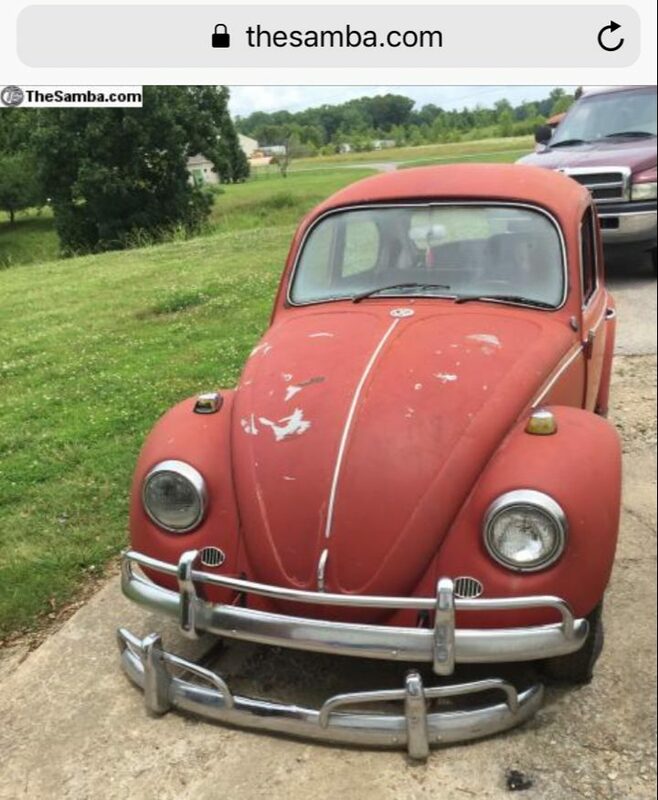 It was purchased by Jamie Wiseman last year with the intention of restoring and flipping it for a profit. 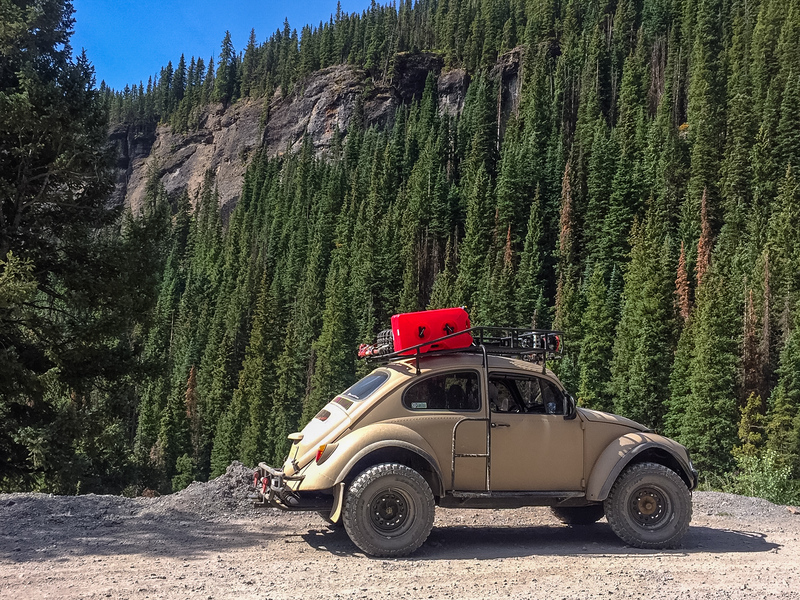 What he hadn’t anticipated was falling in love with the old Volkswagen, which would lead him to turn it into a one-of-a-kind overland Bug. Once the ball was rolling, there was no stopping the ridiculously wonderful journey of modifications and improvements. 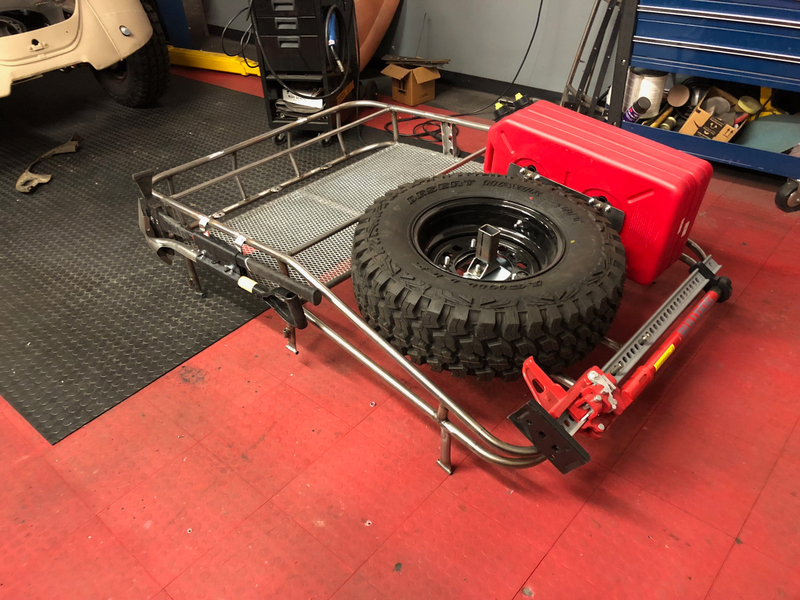 Jamie fabricated everything himself, including a full roll cage, front and rear tube bumpers, and a custom rack to hold the spare tire and two 4.5-gallon RotoPax fuel cans. Then things got really interesting. 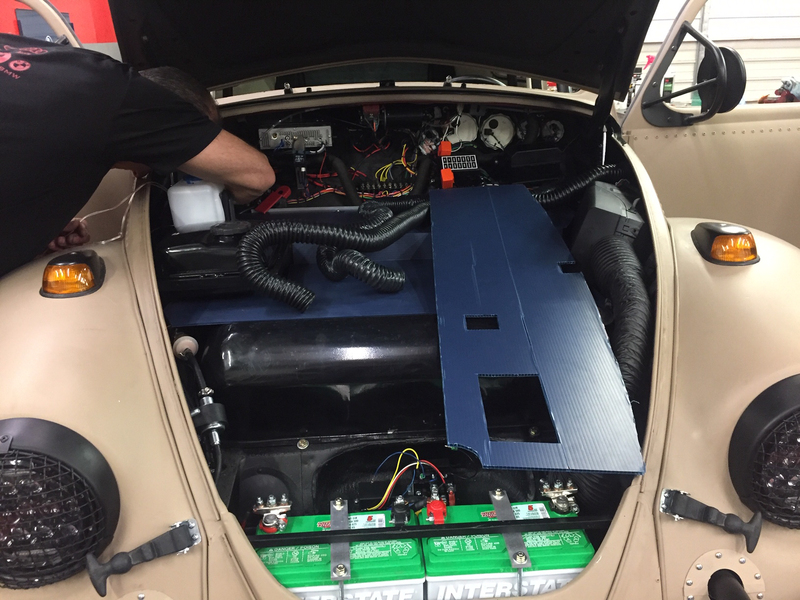 Jamie dropped in an air-cooled dual port type 1 motor that was bored and stroked to 2110 ccs. 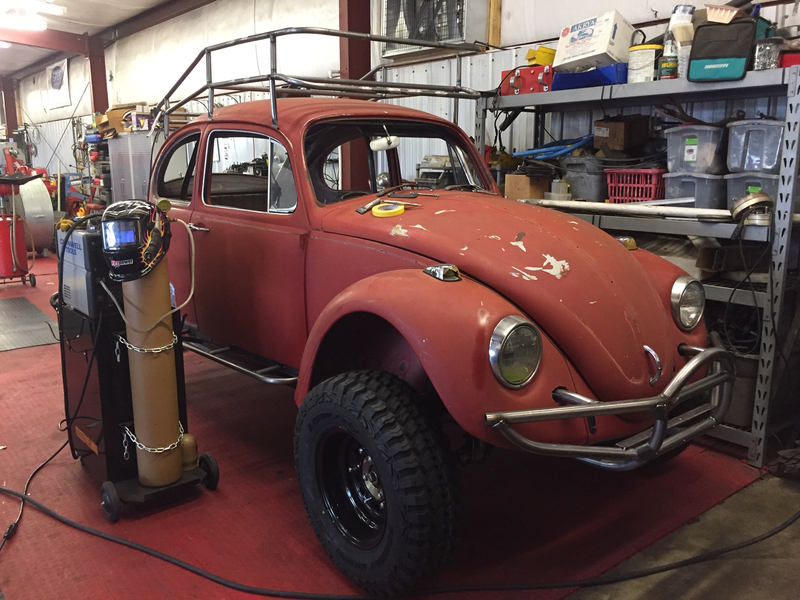 This produces roughly 140 horsepower with the Holley fuel injection, giving this bug more get up and go than most. 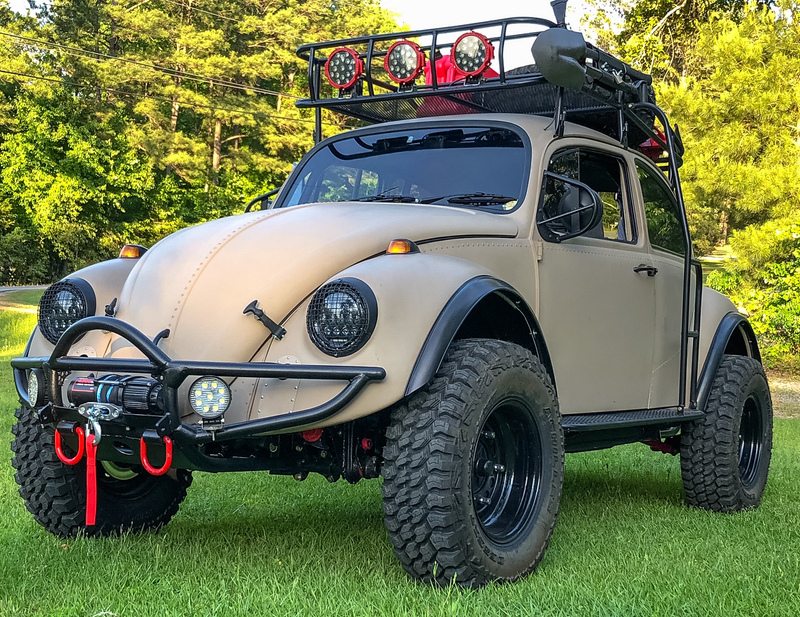 With this additional power, they quickly realized they wouldn’t be able to resist driving the Bug, now named El Burro, fast, so the suspension was modified to a 4-inch-wider stance than stock with an additional 3 inches of height. 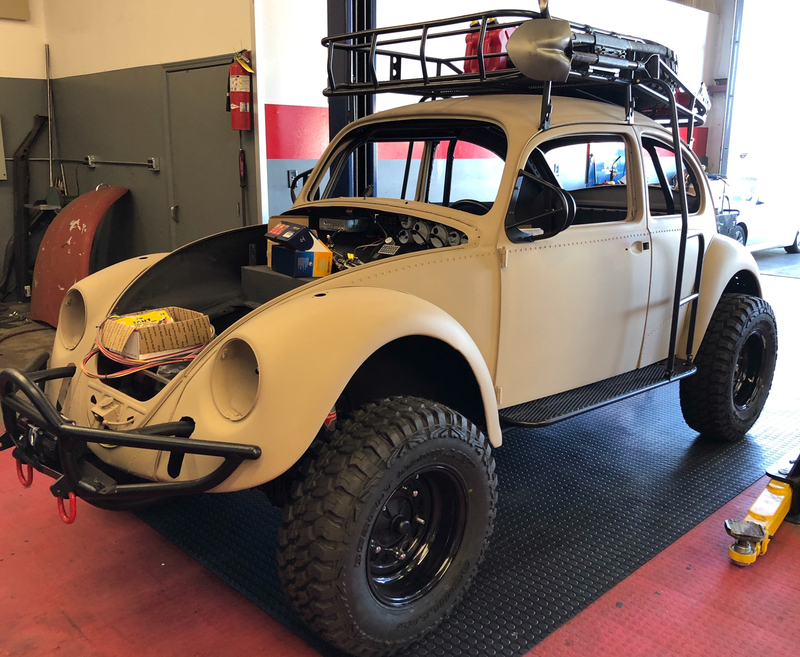 A 3-inch body lift was also used, which together with the other changes allowed the bug to clear 30×9.5 LT15 Desert Hawk M/T tires on black wheels. 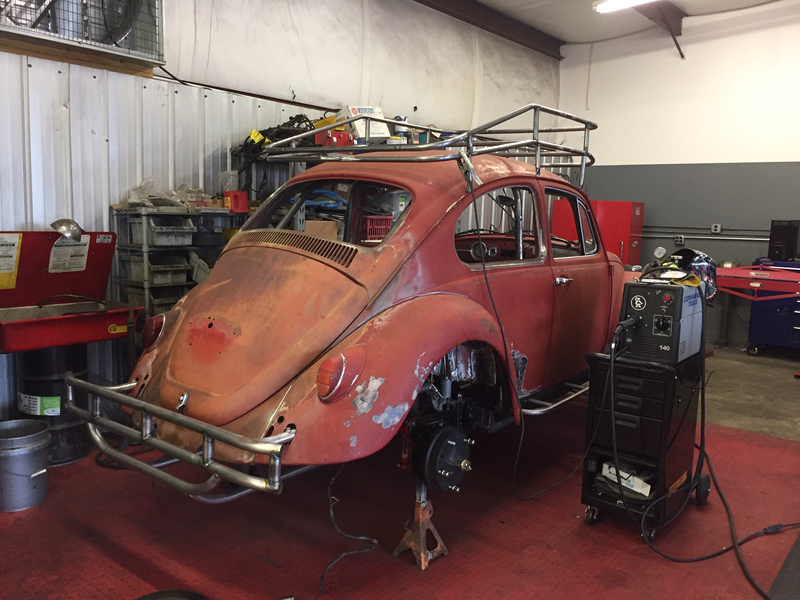 As you might have guessed, turning these wheels and tires was still a challenge even with the additional horsepower, so Jamie installed a transaxle and gear reduction box from a 1967 VW Bus to provide the bug with a solid low-range first gear. 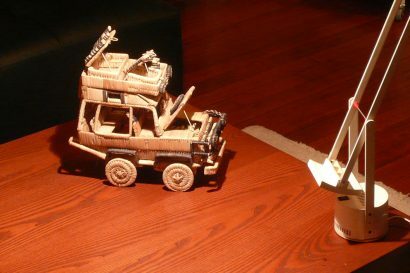 It still needed a boost in steering power though since it was never intended to turn that much rubber. 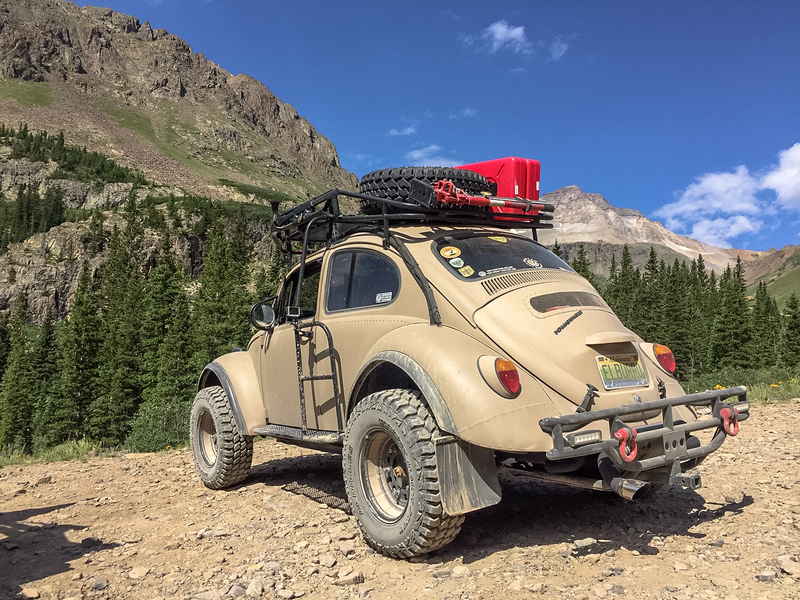 An electric power steering kit from a UTV fit perfectly, and along with the new transaxle gave the car enough oomph to conquer cross-country drives, trails, and even real mountain passes like Imogene which tops out over at 13,000 feet. 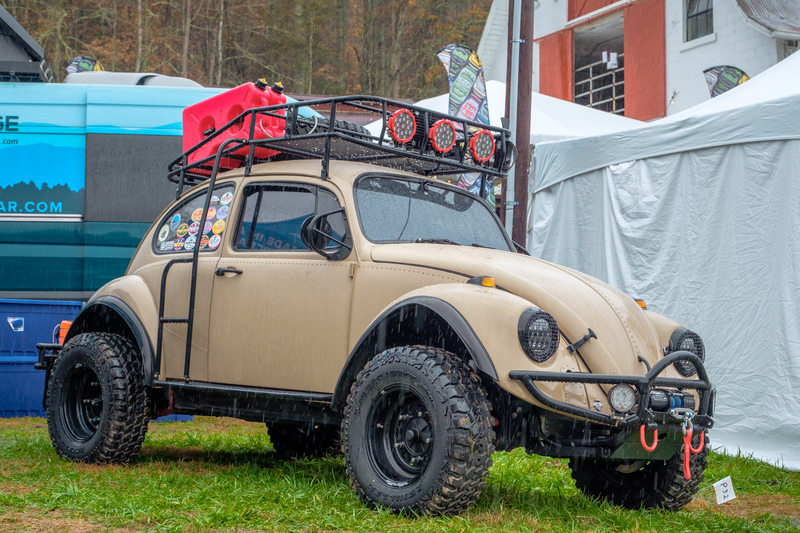 Just in case the little VW ever got stuck though, he also installed a 5,000-pound winch in the front to extract it should things go sideways. 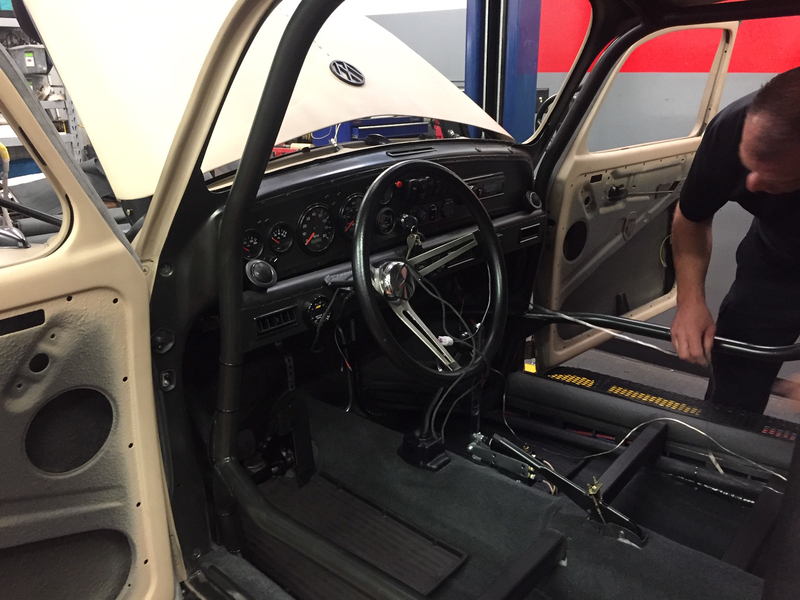 The dash was redone with new gauges, and an air-conditioning system was added for scorching summer days. The vents were plumbed in so well that they look as if they are meant to be there. 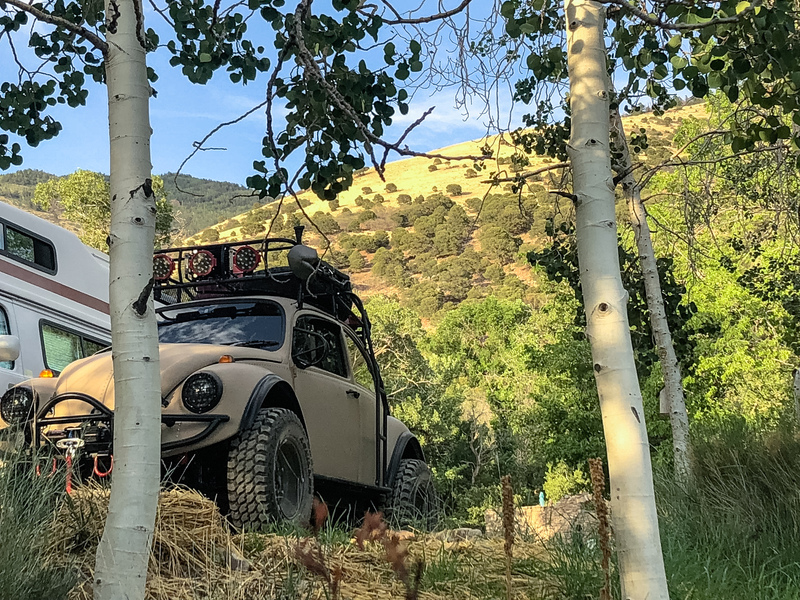 A sound system was installed at the same time, which is obviously a necessity when blasting through the countryside in your Baja Bug. 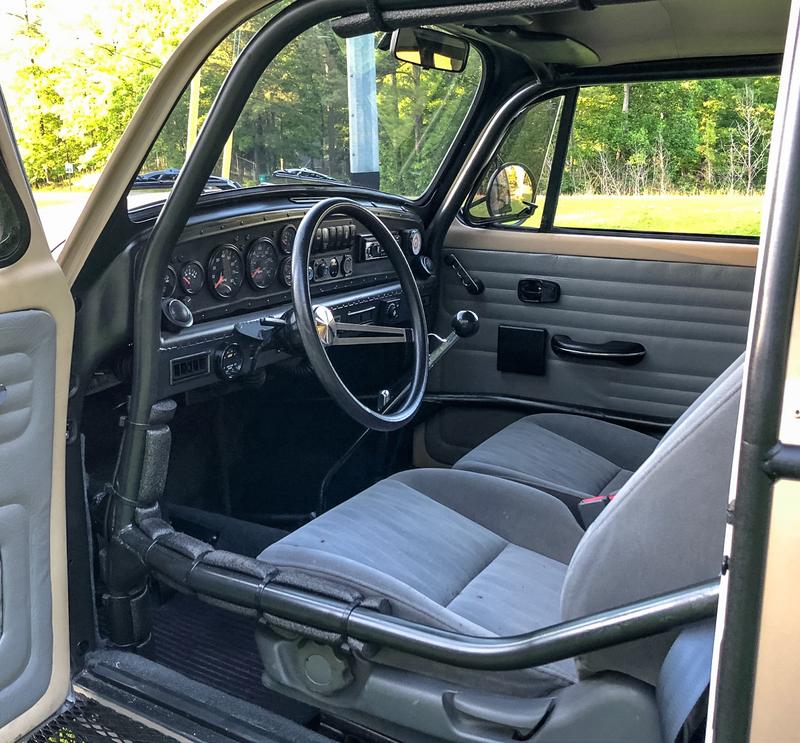 Of course, this will hardly feel like the rough and tumble interior of a traditional Bug with all of the sound deadening and carpet, layered for insulation. 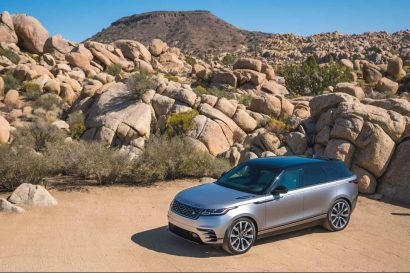 Even the seats were replaced with a reupholstered set from a 2004 Honda Civic, giving the plucky car a far more comfortable ride. 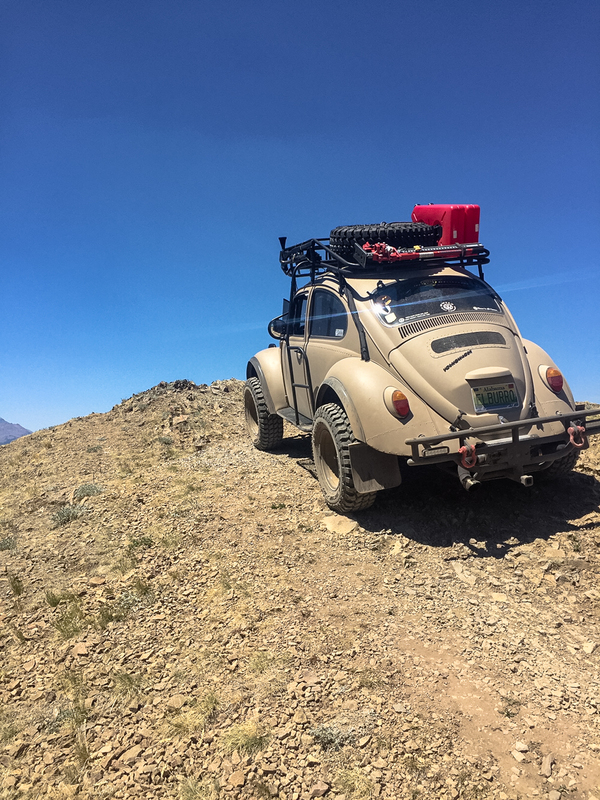 All in all, it took Jamie about nine months to complete El Burro, which seems appropriate given that it has certainly become a member of the family. 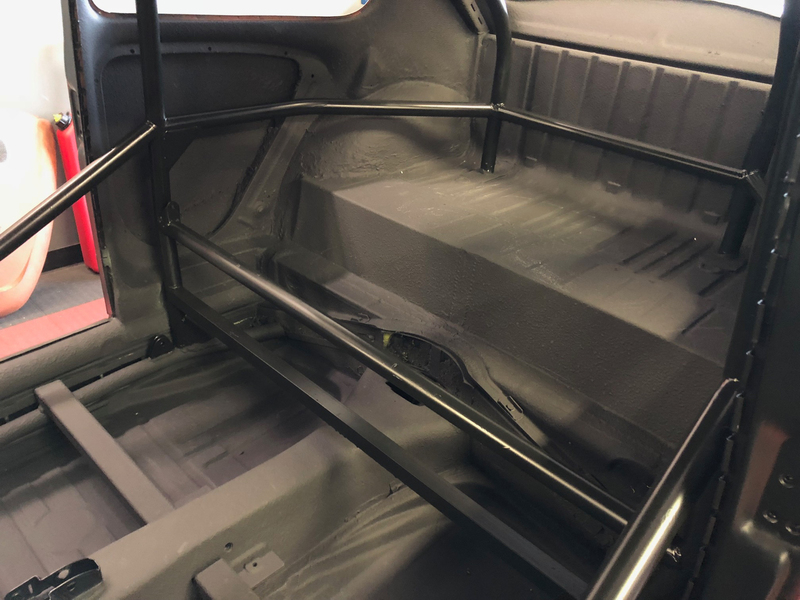 Since completion, the truck has driven all over without a single issue. 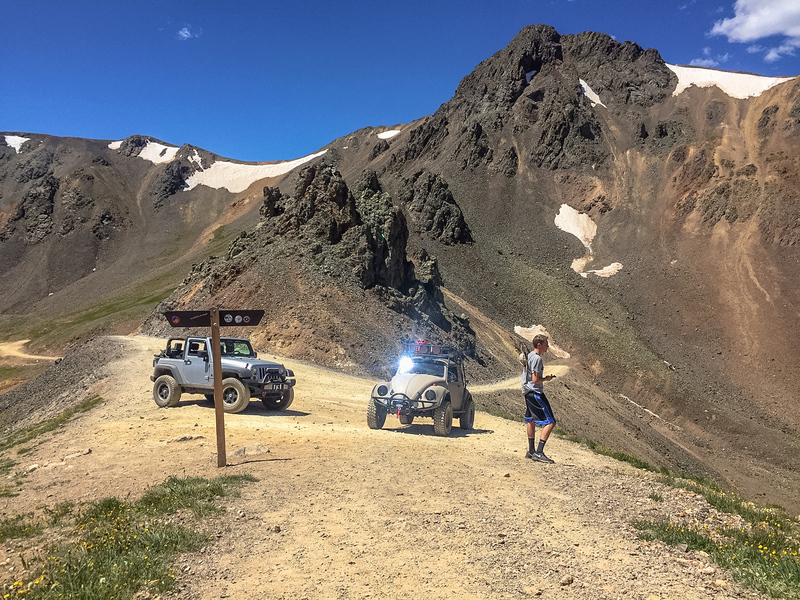 They use the a/c when things get hot, heat when things get cold, and tackle any trail that their hearts desire. 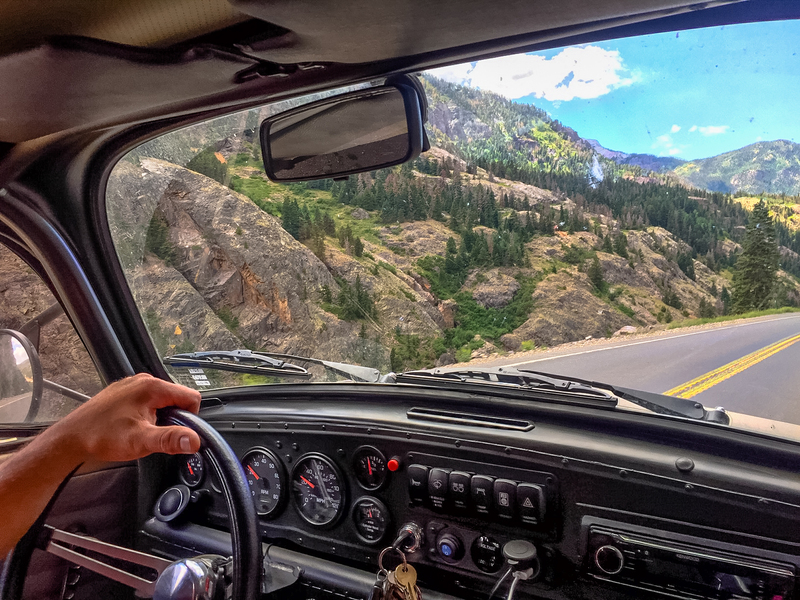 They even embarked on a 4,000-mile road trip across the country, exploring some of Colorado’s best mountain peaks. 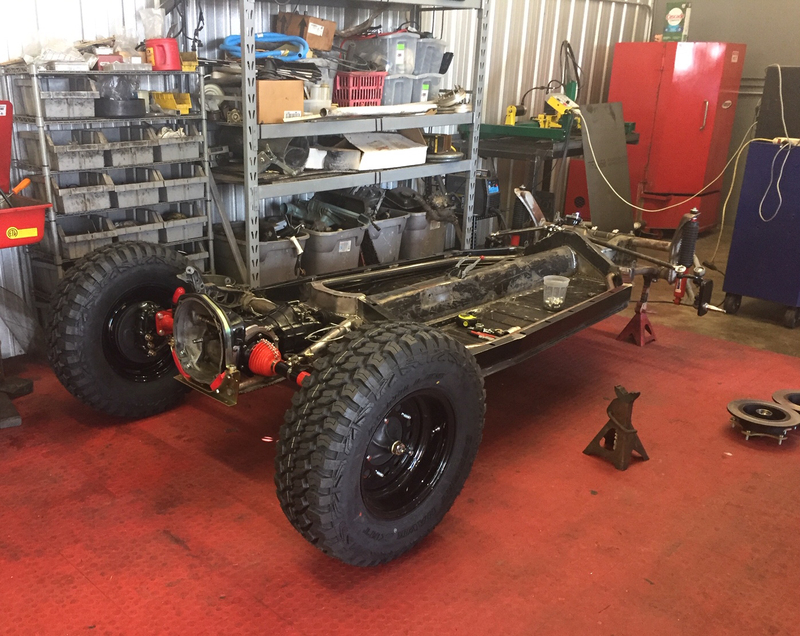 Normally we’d say that’s an ambitious goal for just a few months, but based on Jamie’s level of determination and fabrication skills, we’re sure he will be out exploring with that trailer in no time. 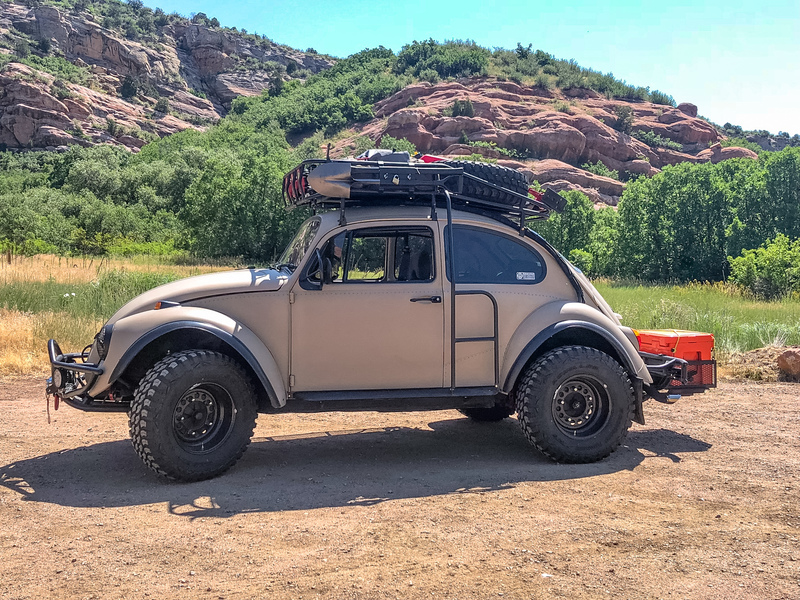 To learn more about this overland VW, watch the full walkaround with Blue Ridge Overland Gear here.